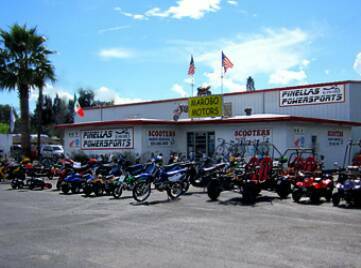 Florida Powersports - Marobo Motors- New and Used Scooters - St. Petersburg, FL – Go Karts/Dune Buggies - Gas and Electric – Parts and Service - Scooters, Pocket Bikes, ATV’s, Dirt Bikes Now offering street bikes, performance parts and Tune Ups! Your best choice to Buy Scooters, go carts and motor bikes in St. Pete, Largo and Seminole! New and Used Scooters - Pinellas County Scooter and Gas Power Bike Dealer - Sales and Service.